We'll be so hoppy together this Valentine's Day! Enjoy Chef Ian's 5-course dinner menu for this special occasion, each of which will include a perfectly paired Moontown beer to complement his fabulous food. 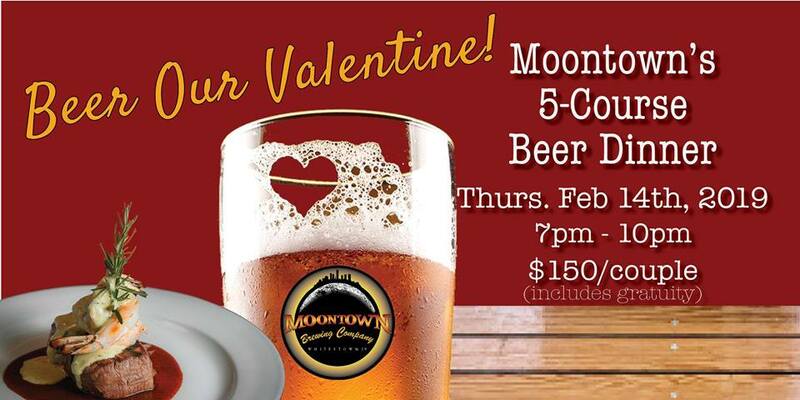 This unique dinner experience is the perfect Valentine's gift for your beer-loving lover. The stage will be set with candlelight, flowers, and mood music -- ready for a romantic (and memorable!) evening together in The 1915 Room. Our brewpub will be closed to the public, and space is limited for this exclusive event. Tickets are required ($150/couple) and include gratuity.